Alright the moment we've all been waiting for . . . well, at least the moment I've been waiting for has finally arrived . . . wait for it . . . part 2 of the pillow buddy tutorial is finally finished! I've been either working on a pillow buddy or working on a pillow buddy tutorial for what feels like forever. Uhm . . . that is apparently my overly-dramatic side kicking in because I went back in my archive and it turns out I've only been working on the pillow buddies since June 20. Hmmm . . . by my calculations that's only a little over a month . . . not forever. Below you will find part 2 (the final part) of the pillow buddy tutorial. For part 1 which guides you through the body-making process, go here. Or for a pdf version click here. The following tutorial is for the basic construction of the pillow buddy. You will have to adjust depending on the animal that you choose to make. I wish I knew how to attach a PDF pattern, but alas, I'm technically slow so get ready to use your own creativity to create the head of your cuddly pillow buddy. AND I know I probably don't need to say it but I'm going to anyway . . . this is for personal use only not for resale use. 1) Draw freehand the shape of your animal's face onto the brown paper bag. If you aren't too fond of freehand drawing, google "coloring pages of dog head" (or whatever animal) and you might find a page you can enlarge and print off for your pattern. Cut out pattern head. Draw and cut out ears separately. Because the pillow buddy body turns out to be a little over 18 inches, I kept the widest part of the head (the cheeks) to about 10 inches. KEEP IN MIND THAT YOU NEED ABOUT 1/4 to 1/3 INCH EXTRA ALL THE WAY AROUND FOR SEWING AND TURNING. 2) For both the puppy and the kitty I decided to use some contrasting fabric for a part of the face. You don't have to do this. If you want to, first take the head pattern and pin it to your fabric. Cut out ONE piece from this pattern for the back of the head. Unpin. Now cut the pattern piece in the way you want the front of the head to look with contrasting fabric. Pin these pieces to your fabric of choice and cut out adding even more of an edge wherever you will be sewing the two pieces together. 3) Put the two contrasting pieces of fabric for the front of the head right side together at the edges and pin. Sew together. In the way I did this for the puppy, I made little eyelids which you can see in the second picture below. 4) You need four pieces cut from the ear pattern. Put ears right sides together and pin. Sew around leaving flat ends open for turning. Turn. You can top stitch around the ears once they are turned, but I chose not to for the pupply so that the ears would be pretty floppy looking. I cut four large triangles for the kitty ears and I DID topstitch the kitty ears after turning to make them stiffer and more likely to stand up. 5) Baste or pin the ears to the right side of the back of the head. 6) Layer the front piece of the head over the ears sandwiching the ears in between. Head pieces are right sides together. Pin. Sew around leaving about two inches open for turning. 7) Turn head right side out. 8) Stuff head but don't stuff it too full yet because you are going to sew on the nose. 9) Cut out a piece of felt for the nose and start to sew it on with embroidery thread. I waited to do this until now, so I could see exactly where the nose would be when the head has stuffing in it. After sewing most of the nose on, I put a bit of stuffing in it to make it stick out and sewed the rest of the nose up. 10) Use embroidery thread to stitch the mouth down from the nose. 11) Stuff the head full now and stitch up the opening of the head. 12) Use pink thread to sew the head very securely onto the body. I basically used needle and thread to sew a small circle of stitches connecting head to body. Then I went around again making a bigger circle. In the process of sewing the larger circle, I closed the hole on the body that was left from turning and stuffing by stitching up the hole and attaching each stitch to the head as well. Basically, you just need to sew the head on securely however works best for you. **The kitty's head was made by cutting a triangle like hole in the front face and cutting contrasting fabric in a slightly larger triangle. I pinned and used the sewing machine to sew the triangle shape into the triangle hole. Done! Not too hard either. I'm going to go celebrate the completion of this tutorial! I'm baffled by two things: 1) that I finished it and 2) that it took me this long to finish it! But I'm done! Woohoo! Please feel free to e-mail me any questions you have or clarifications you need. I realize that I may not be very clear, so I'm happy to try to help in any way. Now, go get started on your pillow buddy and don't forget to send me pics when you get done! I may link this project to these great parties. 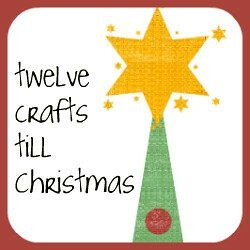 In the midst of working on my sixth craft till Christmas this month - haircessories, I'm also turning my attention towards stocking stuffers. I'm going to be throwing some stocking stuffer tutorials in now and then for the next five months leading up to Christmas. 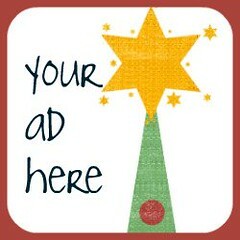 And I'm looking forward to featuring some of those stocking stuffers linked up on my stocking stuffer share-along page. This stocking stuffer was completely inspired by Fawnda and Jeannine over at Fireflies and Jellybeans. 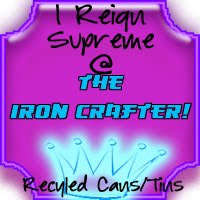 You might remember how I obsessed over soda cans for a few months after participating in their first ever Iron Crafter Challenge. I love being challenged to make something out of a random object, so this challenge is right up my alley. 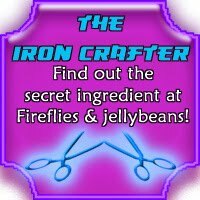 The Iron Crafter is on round three now, and the secret ingredient . . . knobs and/or hinges. Hmmm . . . let my new obsession begin!!!!!! This tic tac toe knob game is going to be the perfect stocking stuffer for my oldest daughter who loves to play tic tac toe and is trying to teach our little Monkey to play . . . it's not going well, but by Christmas I have a feeling they'll both be tic tac toe masters. 1) Trace the top of your knobs on the back of scrapbook paper. 2) Cut out these traced pieces, and trim to fit on top of knob. 3) Mod Podge onto knobs. Let dry. Mod Podge second coat. Let dry. 4) Cut four magnet strips equal in length. 5) Trace strips onto back of scrapbook paper. Cut out. 6) Mod Podge scrapbook strips on to non-magnetic side of of magnet strips. Let dry. 7) Use hot glue to affix round magnets to knob ends. 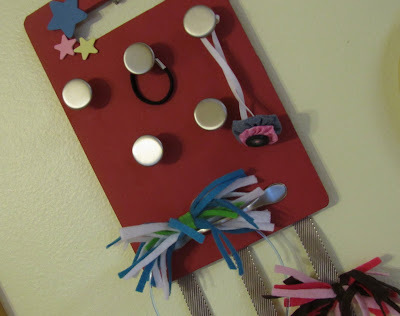 8) Use hot glue to assemble magnet strips into tic tac toe board. 9) Done! Get ready to play tic tac toe on your fridge!